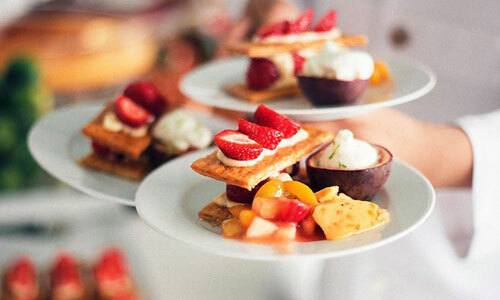 Choux de Bruxelles is a premium services provider for events : venues and catering services. Choux de Bruxelles is the guarantee of a high quality service provided by experienced staff in the venue of your choice or one of our prestige venues. 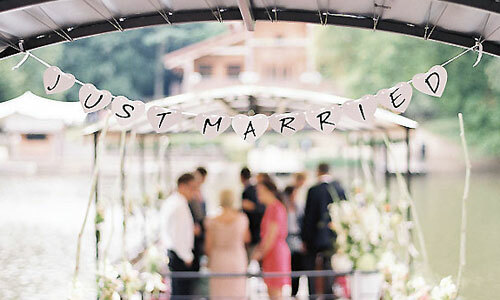 You want to mark the occasion for the most beautiful day of your life ? Private receptions from intimate dinner to the great reception. Cocktail, walking dinner… A friendly alternative to sit-down dinner. And because each of these spaces skilfully pairs authenticity and modernity, prestige and quality, they will be the ideal setting for any event. Let us handle the catering for your event and be guaranteed to pleasant surprise of discovering new tastes and unimagined concepts. Our chefs and our dynamic team work hand in glove to offer a premium service. 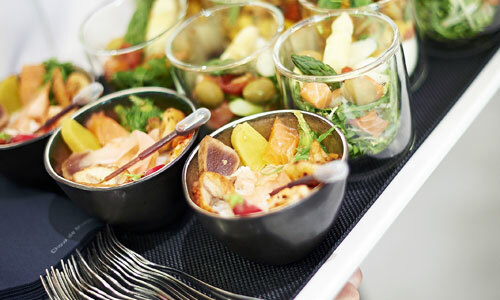 Because the welcome is of paramount importance, we put a big focus on quality of service and big demands on ourselves to adapt to each event, to be aware of the wishes of the host who is putting himself in our hands, and meet the challenge of always going the extra mile with flavours, innovation and inventiveness. The various formulas we offer are tailored to your wishes, the size of your guest list, for your lunches, dinners or receptions.